Normal design practice uses a constant periphery along the part while the shape changes. (The final forming pressure, while higher than when the die is closing, is one-third to one-fifth the pressure used for the earlier ‘T’ process.) 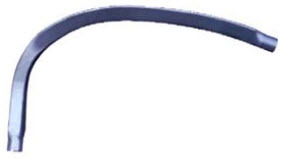 The final part’s periphery essentially equals that of the start tube. 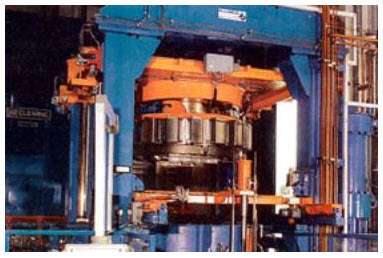 Hydroforming is already widely used – in the US, more than a million engine cradles a year are produced using hydroforming processes, and in Europe the technology is being used in sub-frames for models such as Ford’s Mondeo and General Motors’s Vectra. Some 2.8 million components a year for one of Chrysler’s model are produced by hydroforming, too. However, as hydroforming – particularly high-pressure hydroforming – is at the frontier of modern steel technology, many designers and engineers still need convincing of its capabilities. 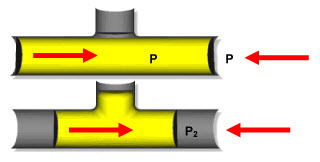 However, the most common type of hydroforming used, tube hydroforming changes the cross-sectional shape of a tube from the normal round to other shapes that change along the part’s length (Figure 4).